AIB has opened four new branches in the past six months. 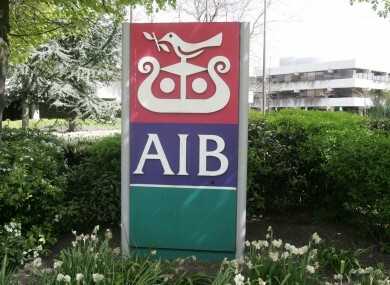 AIB IS SET to open a new branch in a south Dublin supermarket as part of an ongoing turnaround in its fortunes. The new outlet will be in-store at the Lucan branch of SuperValu, the first time the bank has offered its services in this format. A key advantage of the new branch will be allowing customers to avail of longer opening hours. The bank has said that this is a pilot scheme, will be aimed at tailoring the service to the communities that the bank serves. This comes as part of an upswing for the bank over the past couple of years, following damage suffered during the downturn. Back in 2012, 44 branches of the State-controlled bank were closed to facilitate a major downsizing that saw 67 branches either closed or amalgamated – a move aimed at saving the bank €350 million. However, things have started to look a lot rosier of late, and this is the fourth new outlet AIB has opened in the past 6 months. Last December shareholders in the bank backed a 12-month plan to repay €4 billion of the €21 billion worth of bailout money it received from the taxpayer. The outlet will be fully staffed, with advisory and sales services, and will also have ATMs and cash and cheque lodgement machines. Currently the bank has 204 branches around the country and 19 business centres. The bank also operates from 70 EBS locations and has its services available through the An Post network. Email “AIB to open new supermarket branch as part of ongoing expansion for bank”. Feedback on “AIB to open new supermarket branch as part of ongoing expansion for bank”.